Megawide, through GMCAC, is transforming MCIA as the friendliest gateway to the country. 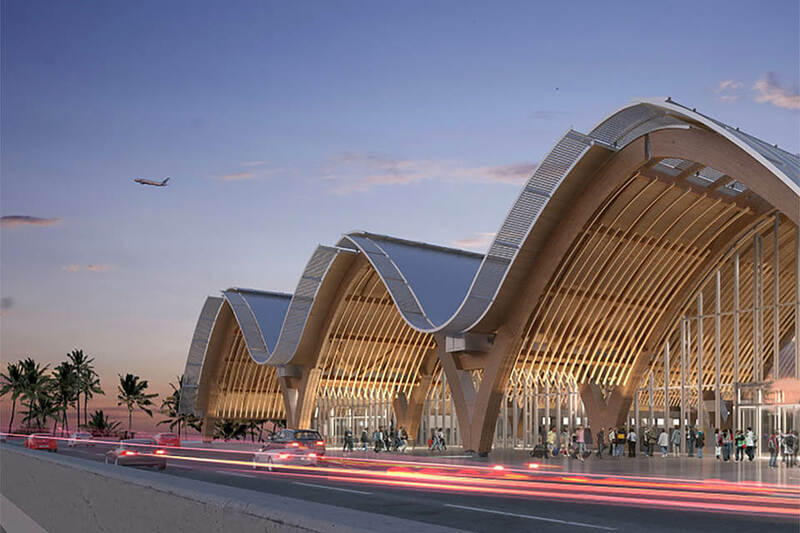 GMR-Megawide Cebu Airport Corporation (GMCAC) reinforced the role of the Mactan-Cebu International Airport as an engine for economic growth with the immediate renovation and upgrade of the existing terminal to transform the ageing facility into a modern gateway. The enhancements made possible the efficient accommodation of over almost 8 million passengers in Terminal 1 despite a design capacity of only 4.5 million passengers per annum. GMCAC also kicked off the intensive construction of Terminal 2 last June 2015. The terminal will be brought into service by 2018, increasing the airport’s handling capacity to 12.5 million passengers per annum. Travelers responded positively to the transformation of Terminal 1 and the improved customer service. In a survey by the Guide to Sleeping in Airports website, MCIA was ranked 14th Best Airport in Asia in 2016. GMCAC will continue its efforts to build a reputation for MCIA in the Philippines and the rest of the world. It will be more than a gateway destination. It will be an experience that will translate to a strong brand in the next 25 years. Passengers can check-in online and let VeriPaxTM scan their electronic boarding pass right from their mobile phones, or let the machine print their boarding pass for them. The interactive check-in allows you to choose your seats, check-in for onward or return flight, and print your boarding pass. The ARINC system across 52 check-in counters enables access for all the commercial airlines operating in the airport. A new baggage handling system that’s 50% longer is now in place, including an expanded baggage carousel and baggage conveying lines. MCIA’s security check has four X-ray machines that provide a seamless movement at the final check-in counters. The three new counters have four different immigration officers positioned inside. The restrooms are now 40% larger with more circulation space and more cubicles, featuring PWD-friendly washrooms with electronic-sliding door. Business class passengers and Premium cardholders can enjoy comfortable lounge seating, internet workstations, and a wide range of food and beverage offerings. This provides real-time details of flights. Dedicated to travelling mothers, this area has four private nursing cubicles with individual couches and foot stools. The room also features a sink, baby changing tables, and a microwave oven. A total of 21 ATM units have been added in the airport. Almost all types of chargers can be found in these stations, and passengers can use it free of charge. This fully-airconditioned and open-to-all area is designed specifically for friends and families of arriving passengers. Access to public transport is made easy with the new taxi bay located beside the Arrivals exit. Polished floors, renovated ceilings, and sleeker chairs now give MCIA better ambiance. Global brands for clothing, lifestyle, and cosmetic needs can be found in the airport. Dining options like coffee shops, fast food chains, and grab-and-go kiosks are also in place.